Jason Furman was an economic policy insider through all eight years of the Obama administration, with "oughly the first half of them as Deputy Director of the National Economic Council and the second half of them as Chairman of the Council of Economic Advisers." In the Arnold C. Harberger Distinguished Lecture on Economic Development at the UCLA Burkle Center for International Relations, Furman reflects on "The Role of Economists in Economic Policymaking" (April 27, 2017). Furman has a pleasantly wry and discursive tone, with lots of anecdotes that mix together stories of success and failure. At least for readers like me, it's a tone that carries far more appeal and persuasive power than feverish oratory set to the sound of trumpets. For example, here are some of Furman's thoughts on the four things that economists have to offer when the answer to a policy question is not known. The first is just describing the data. Describing the data does not tell you what caused what. It does not tell you what is the right policy or what is the wrong policy. But it can help you at least figure out what questions you should be asking, what areas you should be looking at to solve those questions, and what you can do about them. The data can be complicated. The government released two different measures of economic growth in the fourth quarter of 2016, one was 1.0 percent and one as 2.1 percent. The government also released two different measures of job growth in March 2017, 98,000 jobs and 472,000 jobs. Moreover, for the first quarter of this year the data tells a divergent story—with strong employment growth and strong “soft data”, like surveys of confidence, but much weaker GDP growth and weaker “hard data”, like actual sales numbers. I have spent a lot of time on these issues and developed a number of rules of thumb, almost all of which can be summarized by saying that you should look at a wide range of data, ideally smoothed over a longer period of time—without placing too much weight on any given indicator ... Data description can be more sophisticated than just looking at single numbers or even trends. Sometimes it helps to decompose a number into its components to identify what is driving it, at least in an arithmetic sense. The second set of techniques we use is economic theory. Economic theory can sometimes give you a very helpful answer to a question. One of the biggest insights in economics is that some items are more valuable to one person than to another person, and if those two people trade things, they can both be better off. These are the basic motivations for a market economy and the basis of the argument for expanding international trade. ... Let me give you one: the example of the allocation of electromagnetic spectrum ... Spectrum is a scarce resource and in many cases the rights to use it were allocated decades ago. Today, much of the best spectrum is reserved for the exclusive use of television broadcasters while users of smartphones and tablets often face frustrating and economically costly delays in accessing data because of crammed airwaves. In the Los Angeles area, for example, there were more than 25 broadcast stations, some of them with only a handful of viewers, most of whom could watch the shows on cable, online or through other means. A station with only a few thousand viewers might be worth $5 million, but at the same time may own a license for spectrum that a mobile broadband provider would be willing to buy for $50 million. We proposed to deal with this by setting up an incentive auction. Anyone who is a television broadcaster who wants to sell their spectrum can do so, and anyone who is a mobile broadband provider or anything else and wants to buy that spectrum can do so. The auction is entirely voluntary—a station will only sell if it is better off with cash than with spectrum, a mobile broadband provider will only buy if it (and presumably its consumers) benefit more from the spectrum than the cash they pay, and taxpayers get a cut of the difference in the bids to reflect the government’s role in organizing the process, including repackaging the spectrum into contiguous blocks to make it more valuable. Economic theory was enough to motivate and support this proposal—which ultimately resulted in $5 billion for taxpayers as well as profits for television broadcasters, mobile broadband providers, and benefits for their consumers. ... 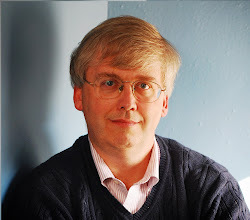 In the last two decades, one of the fastest growing areas of economics has been “behavioral economics,” which relaxes the standard assumption that people are fully rational, and instead pays close attention to the ways people can be myopic, make decisions that depend on framing, and have limited attention spans or ability to incorporate information. One of the big successes of labor economics has been getting policy to focus less on the rate of return to savings and more on making it easier and more automatic to save. The third set of techniques we use is empirical work, trying to understand the causes and effects of different economic phenomena. I want to give you an example of a mistake I was involved in because I did not think hard about causation. At the end of 2008, I was working with Congress on legislation to raise the tax on tobacco products in order to pay for an expansion of the Children’s Health Insurance Program (CHIP). The main proposal was to raise the tax on a pack of cigarettes from $0.39 per pack to $1.01 per pack. But we also needed to set tax rates on a wide range of other tobacco products including roll-your-own tobacco, pipe tobacco, small cigars, large cigars, and more. Amidst everything that was going on at the end of 2008 with the Great Recession I did not pay enough attention to this issue, even though I once sat through what felt like an endless meeting on the topic. 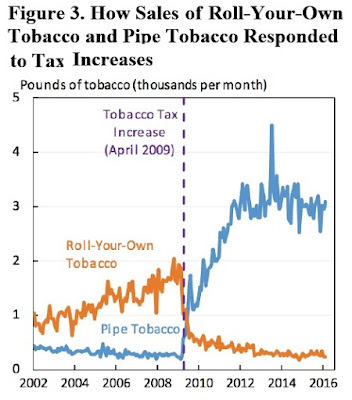 What came out of that meeting was a proposal to raise the tax rate on roll-your-own tobacco by more than $20 a pound while leaving the tax rate on pipe tobacco largely unchanged. What followed was a huge decline in the sale of roll-your-own tobacco and a huge increase in the sale of pipe tobacco ... It turns out that roll-your-own tobacco and pipe tobacco are highly substitutable—not because people have shifted to smoking pipes, but because you can still put pipe tobacco in a piece of paper, roll it up, and smoke it. This is not just a minor, technical observation. It turns out to be highly consequential for public health. I have estimated that the 2009 tobacco tax increase will reduce the number of premature deaths due to smoking by between 15,000 and 70,000 for each cohort. But it would have reduced them even more if we had harmonized the tax rate on different tobacco products, as we did in a subsequent proposal. In fact, economists in the Treasury Department estimated that the reduction in tobacco consumption under a harmonization proposal would be nearly two and a half times the size it would be under an increase in the cigarette tax alone that raises comparable revenue. Fourth, we sometimes combine empirical description, theory, and causation to build models that allow us to simulate the impact of different policies. For example, such simulations can tell you how a tax cut will be distributed or affect the economy, how much a particular health plan will cost per person covered, or how much carbon emissions will change as a result of different policy approaches. While any model is limited and imperfect, models can be especially useful in quantifying plausible tradeoffs in designing a policy and communicating the impact of policies to policymakers. After the election many people expressed frustration that facts and analysis did not matter anymore. Paul Krugman cited the statistic that the three major networks spent a cumulative total of 32 minutes covering policy issues in the 2016 election. ... I certainly share the sentiment that facts and analysis play too small a role not just in campaigns but in governing. And I think there is a role for many types of communication and persuasion. For myself, I am not someone who could give a rousing speech at a rally so I will stick to my comparative advantage. And I do believe that the right response to the lack of sufficient weight for facts and analysis is to embrace more facts and analysis. Under Furman's leadership, the 2016 Economic Report of the President contained a chapter reflecting on the CEA after 70 years, discussed in "70 Years of the Council of Economic Advisers" (February 29, 2016). The Summer 1996 Journal of Economic Perspectives ran a symposium on the 50th anniversary of the CEA, with articles by Herbert Stein, Charles L. Schultze, and J. Bradford De Long. Like all issues of the JEP from the first to the most recent, it is freely available online compliments of the American Economic Association. The Fall 1997 issue of the Journal of Economic Perspectives contains, "Retrospectives: The Economics of Leon HirschKeyserling," by W. Robert Brazelton. Keyserling was the second chairman of the CEA.